Recent events concerning Tejay van Garderen and Roman Kreuziger prove that, despite his lifetime ban, Lance Armstrong’s influence – and actual presence – is still very much alive in the pro peloton. He may be blocked even from riding charity events, but Armstrong is nevertheless finding his way back into the saddle and into the mindset of current pro riders. Barely 10 words into his bid to refute charges of biological passport manipulation levelled against him by the UCI, and the Czech climber has already scored a PR own goal of comedic proportions. Anyone who’s anyone knows that the “never tested positive” defence went out of the window along with Armstrong’s seven yellow jerseys. If we can forgive him on the grounds of English not being his first language, then his media representatives deserve to be frogmarched to the nearest set of wooden stocks and pelted with rotten eggs and tomatoes. Anyone who works in both communications and cycling really should know better. 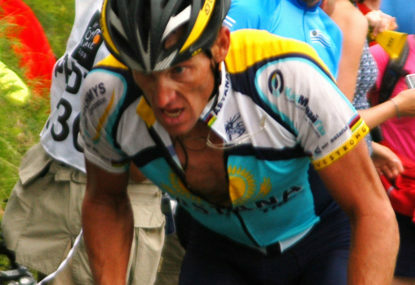 After all, Armstrong’s famous “never tested positive” mantra is tantamount to admitting that one had never been caught – rather than a clear refutation of any doping involvement. But the damage was done – the ghost of Armstrong summoned. Around the same time, the latest pages of the iconic cycling tome Rouleur were hot off the press in the UK. Inside the December edition there’s a long feature about Armstrong, who was interviewed and photographed by a Danish pair of journalists in his home town of Aspen, Colorado. “Tejay” is, of course, Tejay van Garderen – the American 26-year-old who finished fifth in last year’s Tour de France and who, following the retirement of Cadel Evans, is now BMC’s top dog, and the most likely rider to become the first American since Greg LeMond to legitimately win cycling’s most famous race. If Armstrong’s intriguing aside was not enough to set tongues wagging, then the accompanying photographs of Armstrong – sunglasses on, helmet off – on a Vespa with van Garderen – decked out in full BMC kit – riding in his wake, should have done the trick. Granted, that Armstrong had been motor-pacing van Garderen is not exactly fresh news: it was something the BMC rider himself admitted to Velonews in October after it was revealed that Armstrong had been blocked from riding with van Garderen in George Hincapie’s Gran Fondo in October. But seeing the two training together in grainy black-and-white photos really packs a punch. “Lance lives down the block from me in Aspen,” van Garderen had told Velonews before openly throwing his ties with the Texan on the table. 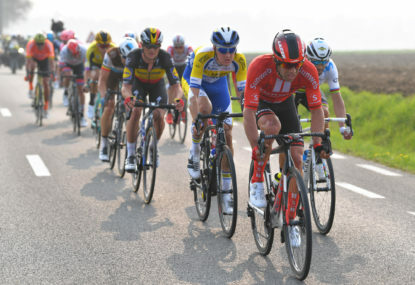 Likewise, the message van Garderen gives out to the public by being snapped alongside Armstrong is ultimately going to be left up for people to decide for themselves. Some won’t care. Others will see it as a gaffe very much in the same vein as Kreuziger’s. There’s one major, telling difference. Kreuziger’s mistake was inadvertent; van Garderen’s, if you believe him, wasn’t even a mistake, plus he chose to be open about it, too. So, yes, ultimately the people will decide. In his defence, van Garderen has always been quite open with his feelings regarding Armstrong. 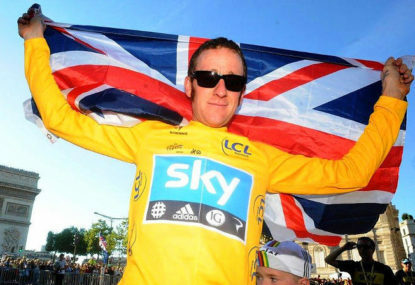 When Armstrong admitted to doping his way to seven Tours de France, the younger American admitted he was “disappointed” albeit sympathetic to his countryman’s plight. 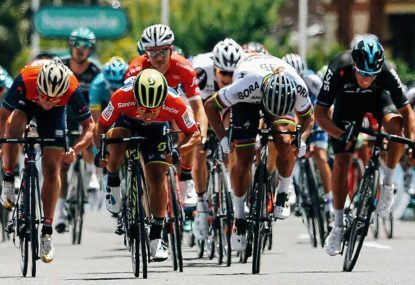 “In my mind, he still won those Tours,” van Garderen volunteered. But when Armstrong last year told Le Monde that he didn’t think winning the Tour without doping was possible, van Garderen instantly called him out. Which is precisely why it’s baffling that it’s Armstrong who’s now leading van Garderen into the corners from the apparently not-so-comfy seat of his Vespa. Sure, van Garderen’s manager at BMC is Armstrong’s life-long friend Jim Ochowicz, plus the pair both live in Aspen and are both united by their love of cycling. 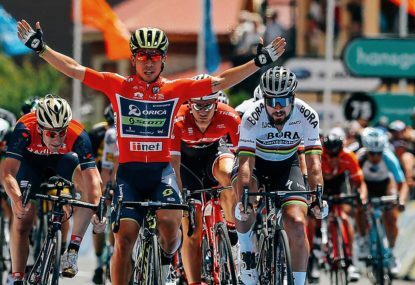 But while hanging out with the sport’s most infamous doper is one thing, using him as a training partner is perhaps even more ham-fisted than channelling Armstrong’s old “never tested positive” defence. Along with Andrew Talansky, van Garderen is meant to represent a new generation of American riders who have risen through the ranks outside the US Postal/Discovery Channel framework. Having broken through the surface of the water, here’s van Garderen voluntarily allowing himself to be pulled back under. What clearly favours van Garderen over Kreuziger in these episodes, however, is that the young American has been entirely candid about his links with Armstrong. Kreuziger, on the other hand, is in denial mode. Although he’s opened up his biological dossier, he still can’t explain the persistently elevated levels of his haematocrit – and the opposing drop in reticulocytes – that bizarrely appear at the end of both the Giro and Tour in 2012. That the Czech – while riding for the much maligned Astana – is quick to stress how he never crossed the established thresholds that warrant a sanction is neither here nor there if he cannot explain the anomalies, something the UCI will no doubt press during its appeal with the Court of Arbitration for Sport.